Great location – a short tauntaun ride to the rebels’ secret (shhh!) Echo Base. Host will likely be in and out throughout your stay, but would love to have you for dinner if you’re willing to hang around. Host keeps variety of refrigerated snacks throughout the space. Feel free to help yourself! Despite the well-written description, the host clearly was not the one responsible as he spoke exactly ZERO English. I honestly don’t know what language he spoke — it was really unintelligible. My buddy stayed here and never returned. Despite the amenities, stay at your own risk. Dont come here if you are vegan! Feet got a little cold at night, bedrooms get draft so bring an extra blanket. Ample space to spread out, which was nice. Certainly roomier than what can be seen in pictures. The high ceilings are to die for, but in all honesty the proprietor could stand to spring for a humidifier. When I woke up I was extremely parched and had quite the bloody nose. The price was reasonable to the point that I would say it costs an arm but not a leg. Fresh food. Gracious host, willing to lend a hand when needed. Minimalist decorations. Great place for people who love the cold. My wife did not like it, she’s more of a beach person. The only downside…no flushing toilet. Open floor plan is nice, but the heater seems to be broken. Felt like a walk-in cooler at times. Next time, I’m going to the Dagobah System. Pretty sparsely decorated – more of the modern Scandanavian motif. Did not enjoy – host is too cheap to maintain the heat there. Stayed here while on a skiing trip. The accommodations were large but never gave us respite from the frigid Hoth conditions. The proprietor needs to get that heat working! Also the bed was a bit different. Apparently hanging from the ceiling in ice blocks is good for your back. This place was perfect for our summer vacation from Tatooine! Lots of cold air and great meals! (Mostly meat though) I had only one problem though, in the morning all my stuff was covered in the fur of last nights dinner and was also covered in ice. Not a great place for pets. So comfy you won’t get out for weeeks!! The place was great, and so was the food. It was all meat and the only animals in probably 20 miles were humans besides the Host. I admit I haven’t stayed here myself, but one of my best friends did and I had to pick him up in the middle of the night because he couldn’t bear another moment with the ill-mannered host. 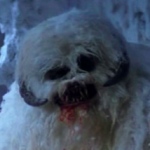 He would (and I quote) ‘rather freeze to death on Hoth’s icy cold surface than stay another minute with that monster’ (the ‘monster’ being the host). That says a lot about this place. A long-time Hoth native and connoisseur of local eats.